Whenever I hear this statement in my office, I first ask for a detailed 24-hour diet recall. Some people may not be consciously aware of how much they eat, so it’s a good idea to recall what’s actually been consumed (e.g. “Let’s see. I had coffee this morning. I only had a chicken salad for lunch. I had some Häagen–Dazs ice cream afterwards- it was hot outside… then a handful of almonds plus a banana in the afternoon- they’re healthy right?… I think that’s- oh wait- and 2 chocolate chip cookies from a colleague. Hmm. I guess I ate more than I thought!”). After I confirm the validity of their statement (i.e. that they really AREN’T over-eating), we start investigating functional or medical conditions which could be causing their weight gain or preventing them from losing weight. If you have an underlying condition that affects your metabolism or weight, you won’t be able to lose weight despite efforts to eat less and exercise more (you may even feel worse after such efforts). In this case, being overweight is merely the symptom. You must address the cause. If you’ve been trying to lose weight without success, it’s time to look beyond diet and exercise. My parents or grandparents have diabetes mellitus (and/or I do). I gain weight easily, especially around the abdomen (tummy). I feel sluggish, have brittle nails, dry skin, thinning or unhealthy hair, and am often cold when others around me feel comfortable. I have been told I have thyroid problems, high triglycerides, gout, PCOS (polycystic ovarian syndrome) or cysts in the ovary, unwanted facial hair, or fertility problems. I am currently taking thyroid medication. I have fewer than 7 bowel movements per week. I eat hamburgers, hot dogs, pizza, bacon, beef, fried chicken, fries or chips almost every day. I no longer enjoy doing the things I used to enjoy doing. Sometimes I experience suicidal thoughts. I need my comfort food (chocolate, ice cream, baked goods, etc. ), especially in the evening, or else I’ll feel miserable. If 2 or more statements apply to you, there may be hidden factors- hormonal imbalances, insulin resistance, depression, sluggish detoxification/ constipation- preventing you from losing weight. 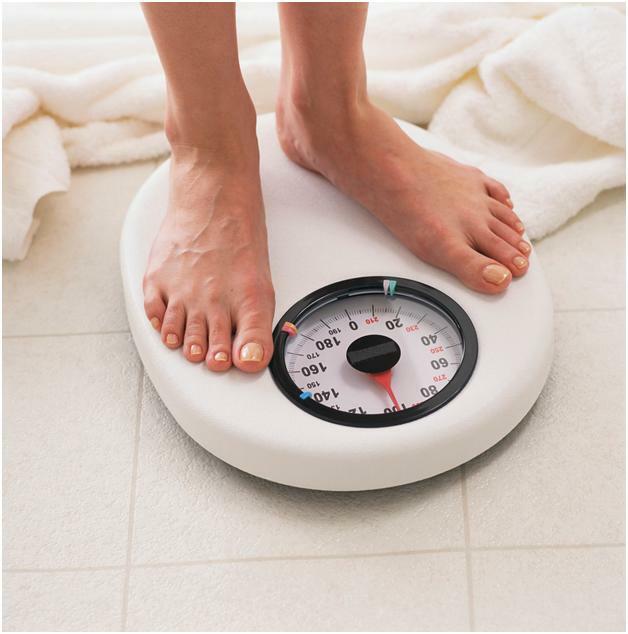 Talk to your healthcare practitioner to further investigate possible underlying health issues affecting your weight. This entry was posted in Emotional/ Psychological Health, Hormonal (Endocrine) Imbalances, Nutrition, Weight Management and tagged constipation, depression, diabetes, hypothyroid, lose weight, over-eating, thyroid imbalance, weight loss, weight management. Bookmark the permalink.